We arnt big so you wont get get lost in the crowd , hehe , but we need dedicated players , fight wars and events , for yourself as well as the team . We are friendly , caring , and most of all sharing , info and prefer peeps with abilitiy to be generals . If you have been forgotten , we wont , every team mate here can step up , if ya dont have what ya need we do our best to provide , Alli lvl 29 , trying to grow slow to win wars ,if that makes sence? haha . 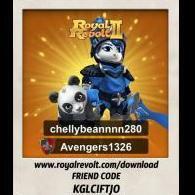 come join make friends and have fum , but plz win ! LOL Oh yea , Kaiser is the beast ! Young to old ,and we have a few elders here , as well as some sporty young fighters . If ya fight for us we fight for you , wish all the best , but the best for us.